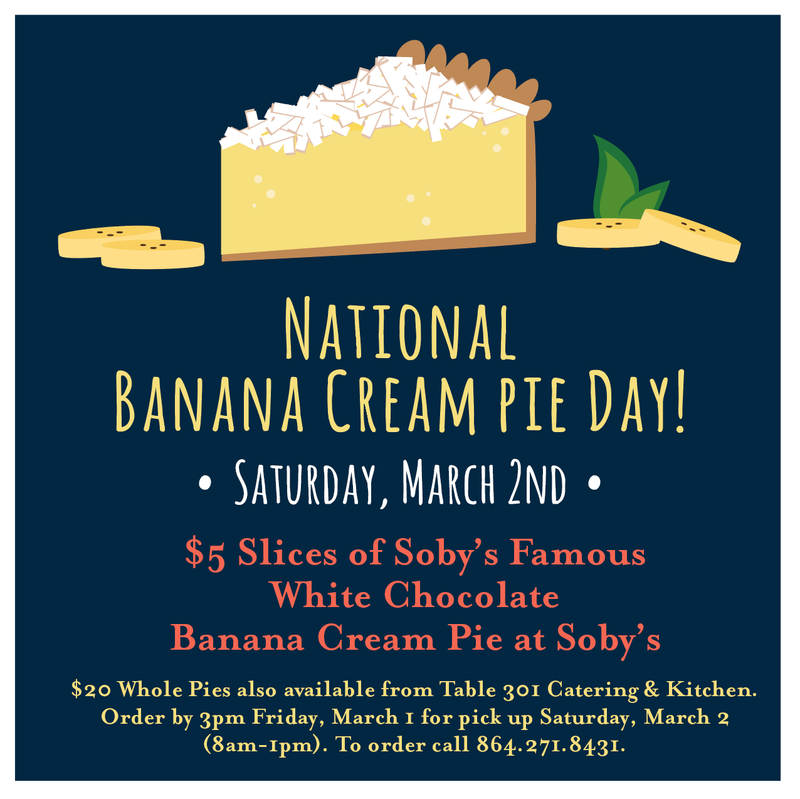 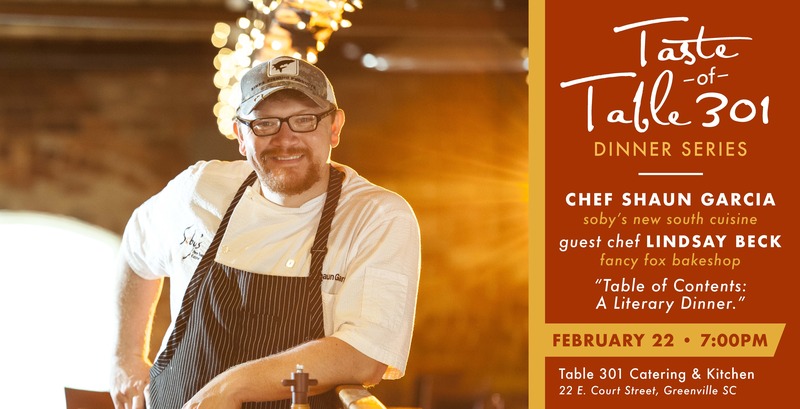 What better way to celebrate “National Banana Cream Pie Day” than to enjoy $5 Slices of Soby’s Famous White Chocolate Banana Cream Pie at Soby’s this Saturday, March 2. 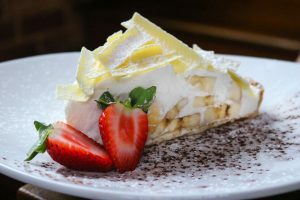 If one slice just isn’t enough, you can also order a whole pie for just $20 from Table 301 Catering & Kitchen.Order by 3pm Friday, March 1 for pick up on Saturday, March 2 from 8am – 3pm. 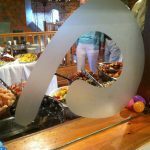 To order call 864.271.8431.